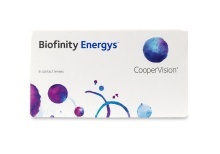 Biofinity contact lenses offer more than vision correction; they provide the ideal way to maintain the health of your eyes while letting your eyes stand out. 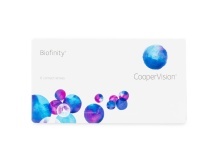 Manufactured by CooperVision, each Biofinity lens is crafted using their patented Aquaform technology designed to help maintain moisture and keep lenses soft and flexible. 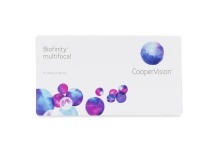 Your eyes stay comfortably hydrated all month long thanks to this deposit-resistant design that retains moisture. 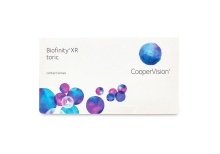 See the world through an unobstructed view with silicone hydrogel lenses designed to focus light for enhanced depth perception and clearer resolution. Experience the comfort of breathable lenses that maximize levels of oxygen flowing through the contact lens to keep your eyes looking their best. 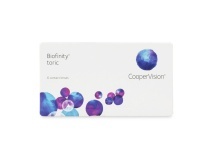 Biofinity contact lenses are also available in Biofinity Multifocal and Biofinity Toric!